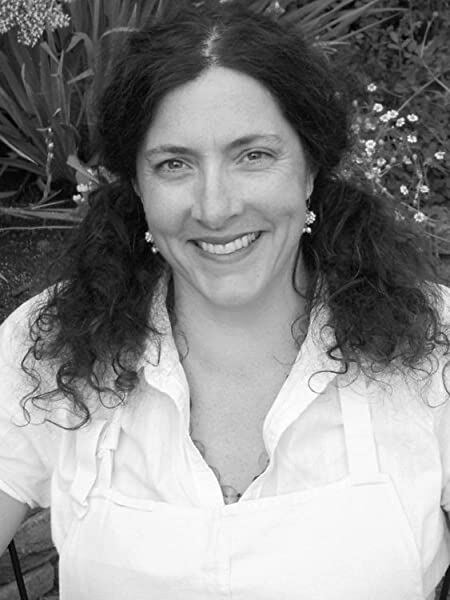 James Beard Award-winning chef Cory Schreiber teams up with Julie Richardson, owner of Portland’s Baker & Spice, to showcase the freshest fruit available amidst a repertoire of nearly 75 satisfying old-timey fruit desserts, including crumbles, crisps, buckles, pies, and more. An early fall cobbler with blackberries bubbling in their juice beneath a golden cream biscuit. A crunchy oatmeal crisp made with mid-summer’s nectarines and raspberries. Or a comforting pear bread pudding to soften a harsh winter’s day. Simple, scrumptious, cherished–these heritage desserts featuring local fruit are thankfully experiencing a long-due revival. Whether you’re searching for the perfect ending to a sit-down dinner party or a delicious sweet to wrap up any night of the week, these broadly appealing and easy-to-prepare classics will become family favorites. "It is fate, really. 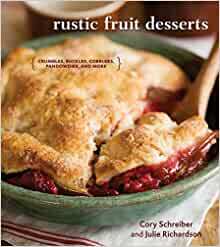 Simply team up two Portland, Oregon, fruit experts--an award-winning chef turned farm-to-school food coordinator, and a baker known for her glorious handcrafted goods--and a must-have new little cookbook appears: Rustic Fruit Desserts by Cory Schreiber and Julie Richardson. . . . . This cookbook, a true collaboration, is a reflection of the passion they share for Oregon's amazing variety of seasonal fruits and the respect they have for the small growers who farm in a sustainable way. . . . The genius of this work lies in Schreiber's playful fruit combinations and Richardson's mastery of doughs and spices to complement them." 5つ星のうち5.0This one is a keeper! Great recipes and easy to interchange fruits in season. The pandowdy crust with bits of candied ginger is probably the best crust recipe I have ever come across. Beside, I learned something new. I had never made or eaten a pandowdy until I bought this book. The recipes are not overly sweet which is a big plus. When I see a recipe in other books with 2 1/2 cups of sugar and 2 or more sticks of butter, it is a real turn off. I have to keep everything gluten-free and the recipes are easy to convert to gluten-free flours. These recipes are something I can enjoy and still stay on a healthy track. I have tried several of the recipes so far and each one has been a keeper! This will become one of my favorite cookbooks. I originally bought this book as an impulse item in a brick and mortar store because the photographs were so tempting. 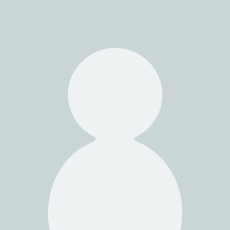 But, as I have continued try the recipes within one by one, I have never been disappointed. Arranged seasonally, the pages encourage you to bring home some delectably ripe fruit from the store or market and find a recipe that will bring out the best. Cobblers and crisps couldn't be easier to assemble, and the olive oil citrus cake that I made for a dinner party a couple of weeks ago produced raves. Rhubarb, oat and pecan crumble? Nectarine, boysenberry and almond crisp? Upside down pear chocolate cake? I have yet to go wrong with any of the delights in this book. I have purchased additional copies as gifts for bakers who appreciate the authors' expert layering of tart and sweet. I have a lot of cookbooks and I add a few more to the collection every year. This one is a standout. Have you ever wanted to feature the wonderful fruit available at the farmer's market? This book will give you the ability to make knock out deserts that put the fruit forward. 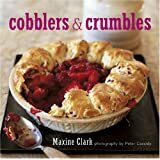 Most recipes are frankly on the easy side and don't require the skill to even make and roll out a pie crust (some do) but I've never been a fan of pie crust and the variety of ways to prepare and finish baked fruit deserts will amaze. Clear instructions will be of fantastic aid to even the most moderately trained in the kitchen. I really love this cookbook. I buy cookbooks for two reasons, sometimes for really great recipes, and sometimes for really great pictures and inspiration. This book has the best of both worlds. I thought the pie recipe I had been using prior to buying this book was perfect, but this recipe beats it. It's so buttery and flaky, the crust tasted like a croissant. I'd definitely recommend this cookbook for anyone who loves fruit desserts. I run a seasonal bakery in a very popular tourist area. I'm always looking for new ways to present local fruits, and this book is chock full of combinations I hadn't thought of. Have not tried many yet, but my season just ended and winter in Maine is a perfect time for testing new recipes!